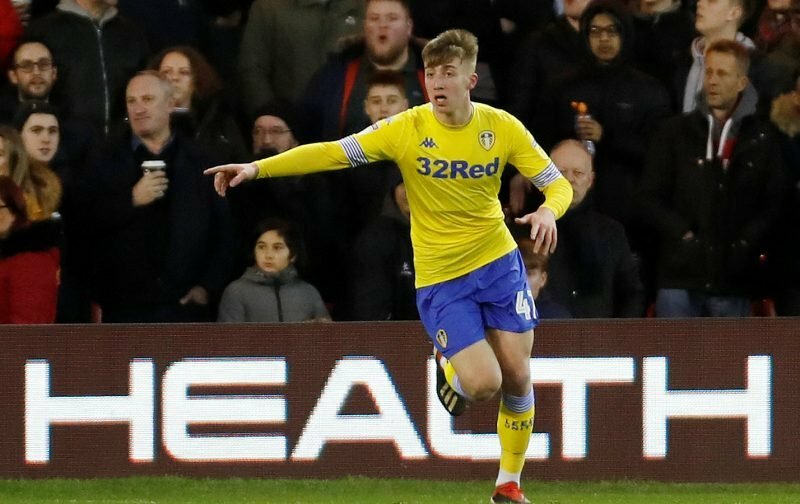 Leeds United academy graduate Jack Clarke has been receiving an outpour of support since being hospitaliSed on Saturday, and Ian Harte has shared a message from the Clarke family thanking “everyone who has sent messages”. The 18-year-old midfielder was watching the action on the Riverside bench at the weekend, having been replaced at half-time, but started complaining of feeling unwell. Paramedics rushed to the teenager’s aid and later stretchered Clarke away before being admitted to hospital, though thankfully he was released on Sunday. The Whites’ Chief Executive Angus Kinnear confirmed: “Jack spent the night under the supervision of the medical staff from the club and he will return home today (Sunday). Jack is a magic very young player. I call him Jack The Gem Leeds Messi. I hope with all my Heart, Jack makes a full and speedy recovery. He has very much a major part in the future of #LUFC. #MOT ???????? Jack is going to be a major talent I’m sure.Great to hear he is doing ok Just to make one observation in all this, where is the nice comments from the EFL? ?.I’ll leave it there. Football has had a couple of Tragedies this season and with Jack Clarke being unwell it was a real worry. It is Fantastic that football fans from all over have put rivalries aside and wished the young lad all the best. Well done to the Leeds & Boro Medics. Thank god he’s ok. Wish him a speedy recovery.